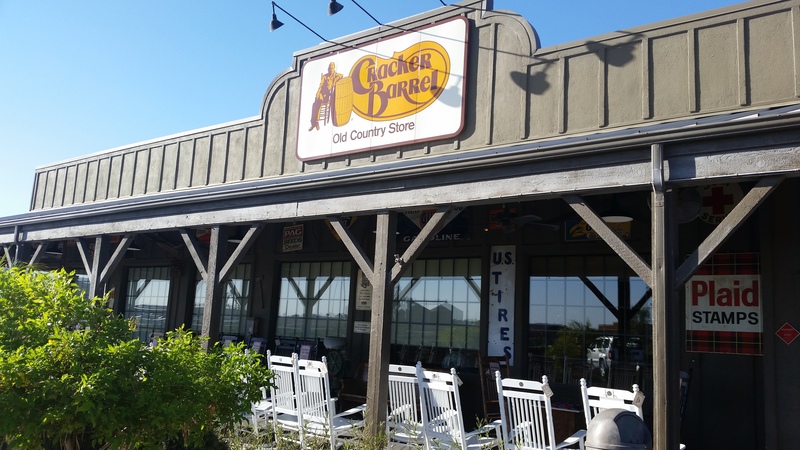 You’re probably wondering why I posted a picture of a Cracker Barrel. Some of you my readers my know what it is, some may not. A Cracker Barrel is a chain resturant, probably one of my favorites to tell you the truth! It feels like home, the country, warm and inviting, not materialistic, and just down to earth. What has happened to our culture in America? We seem to be so wrapped up in ourselves, and what we think is righteous, we tend to forget what is truth. Which leads me to my question? What is truth? Do you know what truth you follow? Is it correct truth? Do you have hope that this world is not your home? If not, please continue reading! If you understand what I an talking about, hallelujah! My friends the world around us says there are many ways to eternal life. Even within the Christian culture. Yet, the word of God makes it pretty clear there is only one way and one truth and that is through Jesus Christ our Lord and Savior. Works don’t get us into heaven. Love on our own doesn’t get us into heaven. Being a good person doesn’t get us unto heaven. Accepting Jesus Christ, that is where our hope and salvation lays. Please do not be decieved. A friend who has opposite religious beliefs asked me once why I chose to follow Jesus. My response was, “Well, if I am right, I have followed and lived after what I believe. I get to hang out with Jesus for eternity. I have the hope of seeing those that have accepted Christ again. I have hope!” If I am wrong, “I’ve helped a lot of people. Looked outside of myself. Loved others. And always tried to better myself.” Either way I don’t lose because I follow after Jesus. Let’s just say my friend was stunned. I don’t think anyone had put it so bluntly before. So my question is. Who are you sold out for? What are you sold out for? Jesus? Or the world?